For all you college hoops fans, March Madness officially jumped off last Thursday, however MMA fans had to wait until Saturday to be treated to Roy Jones Jr’s March Badness event. You know, the pay-per-view event that we ALL shelled out 50 bucks to watch. Oh, I was the only one? Well here are the salaries for MMA fighters that competed in the night’s event. RJJ headlined the night’s boxing/MMA hybrid promotion against Omar Sheika inside of the Pensacola Civic Center in Pensacola, Florida. 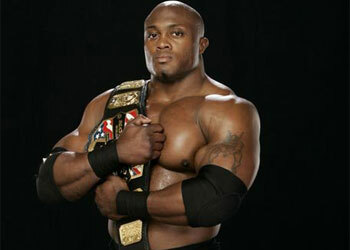 Former WWE employee Bobby Lashley was unimpressive in his unanimous decision victory over Jason Guida. Although he improved his MMA record to a perfect 2-0, his efforts showed there is still a lot of work to do. In the night’s MMA main event, former top UFC heavyweight contender Jeff Monson defeated Roy Nelson via a controversial unanimous decision. Although the bout was a bit of a snoozer, Nelson did appear to have Monson under his belly control for much of the fight. Unfortunately for Nelson, the judges saw things differently.